This is the premium version of our E-Nano. It has the same heating engine as all of our other E-Nanos. 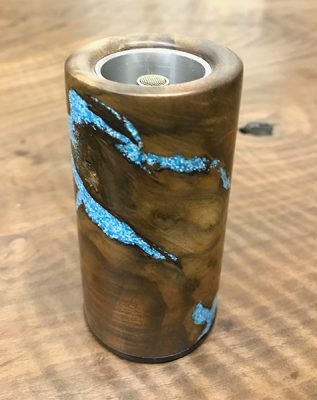 The difference is premium wood grain. 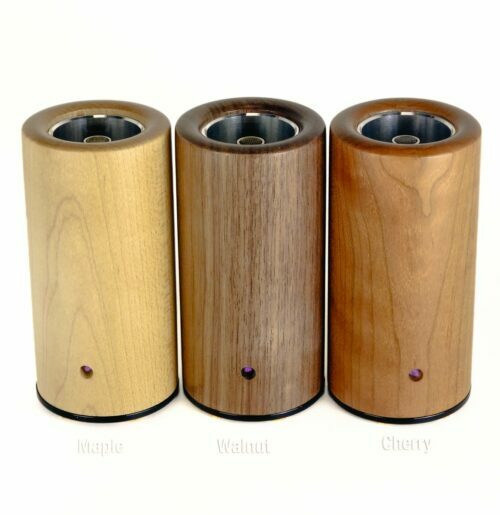 These are hand selected based upon uniqueness and beauty of the wood.The E-nano is the world’s most efficient and easiest to use American made vaporizer. Don’t let the E-Nanos tiny size fool you, simply load just .025-.05 grams of your favorite herb into the glass stem and you’ll be amazed at the milky clouds this little wonder can produce. Earn up to 209 Points. 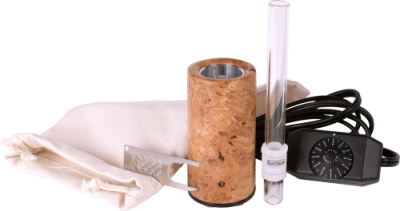 The premium wood vaporizer kit you have been waiting for! The E-nano is the world’s most efficient and easiest to use American made vaporizer. Don’t let the E-Nano’s tiny size fool you because our patent-pending heating engine is a beast! Simply load just .025-.05 grams of your favorite herb into the glass stem and you’ll be amazed at the milky clouds this little wonder can produce. 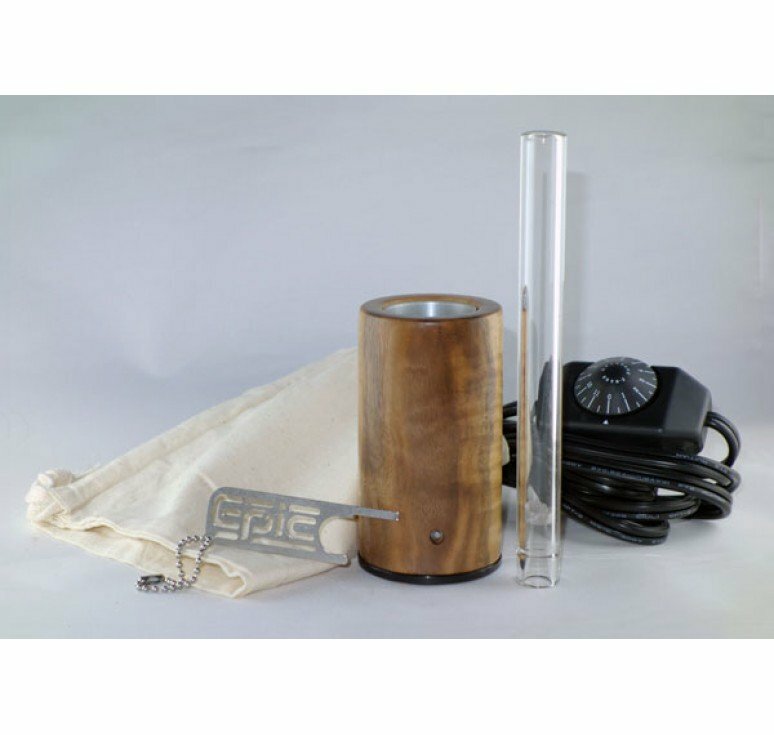 This handcrafted vape will pay for itself as a result of the amount of herb you will save. We guarantee it. If the E-Nano doesn’t exceed your expectations simply return it to us for a prompt refund (less shipping and handling). 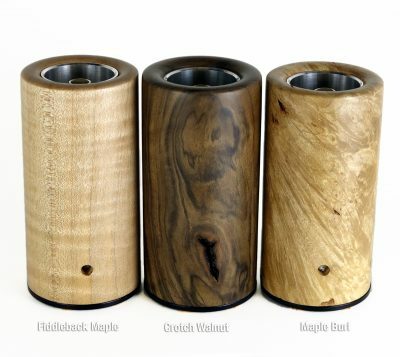 Check out out Standard Wood Versions! The size of the NANO is perfect! So I had my first few sessions with the E-Nano. It’s the best vaporizing experience I have ever had! I put the dial between 6 and 7 and got a lot of smooth vapor, not too hot, great taste, fun to use. The Enano is so versatile and easy to use.